Uncover the causes behind common bad breath and how you can fight them through simple changes to your daily oral care routine. Click here for more information about Dr. Robert Brown's preventative treatments or contact us today to schedule an appointment. Brushing twice a day is the easiest way to avoid cavities and gum disease, but are you doing it the right way? Learn the technique professionals recommend for the best cleaning. Click here for more information about Dr. Robert Brown's preventative treatments or contact us today to schedule an appointment. 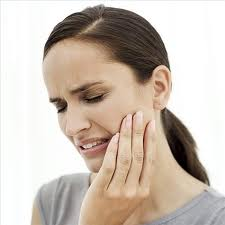 You don't have to suffer from tooth sensitivity! Find out what treatments are now available in this video. Discover the cause of tooth sensitivity, how to prevent future occurrence and how to treat and existing case. Click here for more information about Dr. Robert Brown's preventative treatments or contact us today to schedule an appointment. Contact us today to schedule an appointment. Video: What Are Dental Fillings, Crowns & Root Canals? Learn what to expect during common dental procedures like cavity fillings, crowns and root canals. Click here for more information about dental crowns for your teeth or contact us today to schedule an appointment. 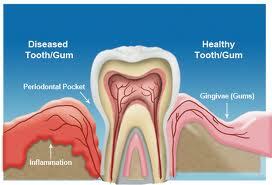 Gum disease is the leading cause of tooth loss in adults. Learn the three stages of the disease, what to watch for and simple preventive techniques. Click here for more information about Dr. Robert Brown's preventative treatments or contact us today to schedule an appointment. Follow the development of a cavity and learn how minor changes to your daily routine can help protect your smile. Click here for more information about Dr. Robert Brown's preventative treatments or contact us today to schedule an appointment. Is your child worried or scared about going to the dentist? Take a trip to the dentist and learn what your child can expect on his or her first visit. Plus, helpful tips to make the visit a success! Dr. Bob Brown is a excellent dentist to choose for your kids. He's a huge Harry Potter fan and has read every book and watched every movie! Contact us today to schedule an appointment. AZ office or contact us today to schedule an appointment. When you eat carbohydrates, some of the harmful strains of bacteria in your mouth, such as mutans streptococci, enjoy the same meal. 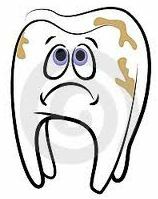 When the bacteria metabolize the carbs, the process produces acid, which strips minerals from your teeth. This stripping of minerals, or demineralization, makes your teeth a breeding ground for infection. Contact us today to schedule an appointment. Do dentists in Mexico comply with the same standards as dentists in the United States? No. Unlike Mexico, Dentistry in the U.S. has many systems in place to guarantee patients’ high standards of protection. 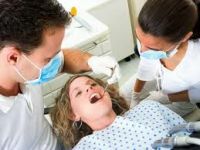 In addition to BODEX, American dentists come under the regulation and control of the Federal Government’s Occupational Safety and Health Administration (OSHA), and the Department of Health and Human Services (HHS). Why the Friday After Thanksgiving Called "Black Friday"?